Hello, you little macrame eggshell planters! I really like you, you know, and I'm definitely making a bunch of you for my easter decorations. Actually, I'm gonna grow my succulents in you all year long! Thanks Lisa for the very informative and detailed tutorial! P.s. These egg planters remind me of this amazing one. 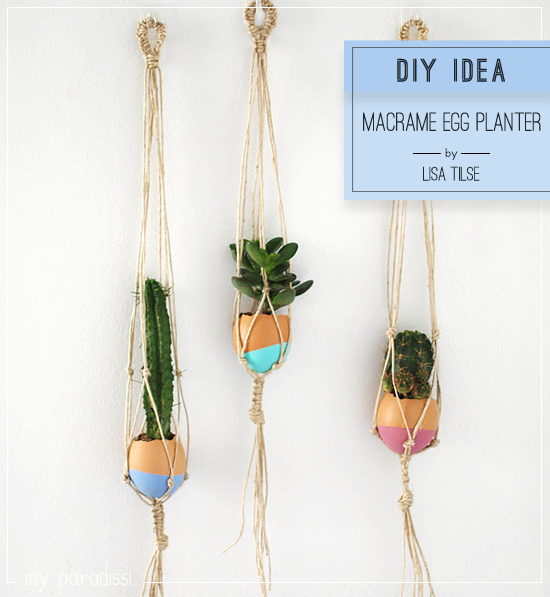 3 comments on "DIY: Macrame eggshell planter"
I love this idea!! Super cute!